LOST WORLD ADVENTURES specialises in small group trips to Latin America. They were keen to increase their direct bookings for Machu Picchu and Galapagos trips, but with Adwords CPCs in the $8 range and typical cost-per-enquiries around $200 they were keen to find a better solution. 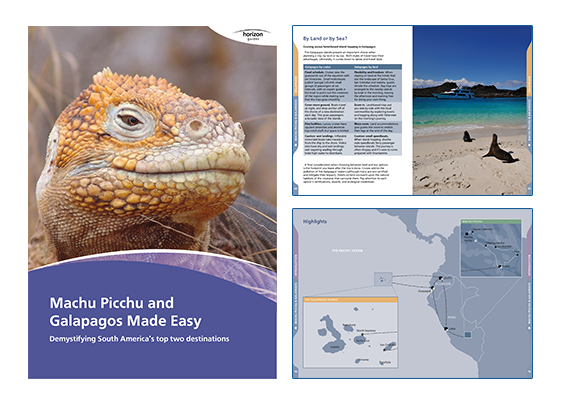 We used our guide, Machu Picchu & Galapagos Made Easy to start building an audience of highly qualified travellers – people proactively searching for trip planning information to these destinations. Our channels are now Lost World’s single biggest source of leads, helping bring down their Adwords costs and grow their direct business without breaking the bank.